Georg Friederich Händel was born on 23rd February. He was a famous composer in Germany and England, and was widely acclaimed as a master composer of many different forms popular at the time, especially opera and oratorio. His music continues to be performed and remains popular and much-loved. He is perhaps best known for his oratorio Messiah which premiered in Dublin in 1742. From this oratorio comes the chorus ‘Hallelujah’ – one of the most famous pieces in the choral repertoire. 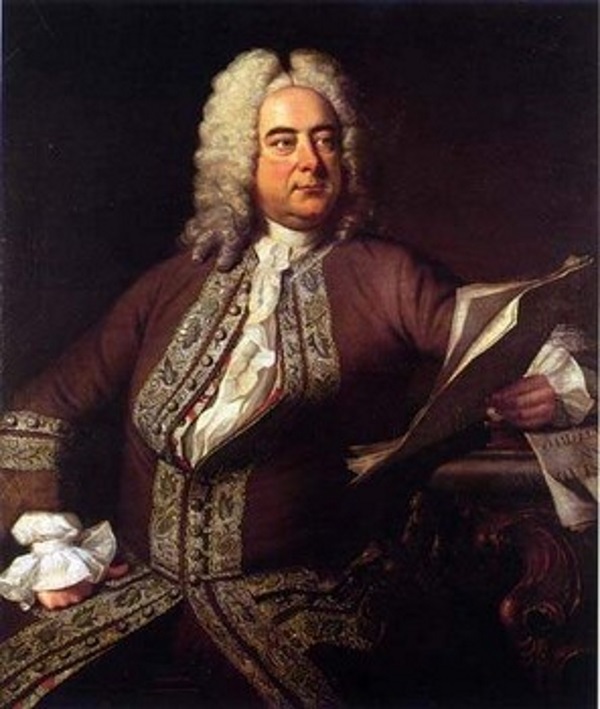 Many of Handel’s tunes have been used with hymn texts. For example, the tune MACCABEUS which is most often the tune used for ‘Thine be the glory’ is from the Handel opera Judas Maccabeus, in which is features as the Soprano aria ‘See, the conq’ring hero comes’. But Handel also wrote tunes for hymn texts, and he is the first major composer known to have written tunes for Charles Wesley’s hymn texts. Around 1750 he composed three hymn tunes which were unknown until Samuel Wesley discovered the manuscript in the Fitzwilliam Library, Cambridge. The most famous of these tunes is GOPSAL, which was written for ‘Rejoice! the Lord is King’.